Google has started rolling out an update to Android Pay that should hit your device in the next day or two. The update, version 1.2 for those keeping score at home, is a minor update but it does have one significant feature that you will want to have available to you. If you recall, back in December I told you about apps you may have on your phone being able to leverage Android Pay for payments. That list of apps was pretty long and included apps like Lyft, OpenTable and ParkMe Parking. The update today to Android Pay is important because now you will get receipts in the app for those in-app purchases. Essentially the receipts act like the do if you use Android Pay at a physical store. When you make a purchase using it within an app, a receipt for that transaction is associated with the credit or debit card that you used to pay for it. The idea of course is you have one place to go to see a history of all your transactions. There is nothing you as a user need to do other than update to this latest version to enable this feature. It is a back end change along with the app. won’t see any changes as they are all under-the-hood. 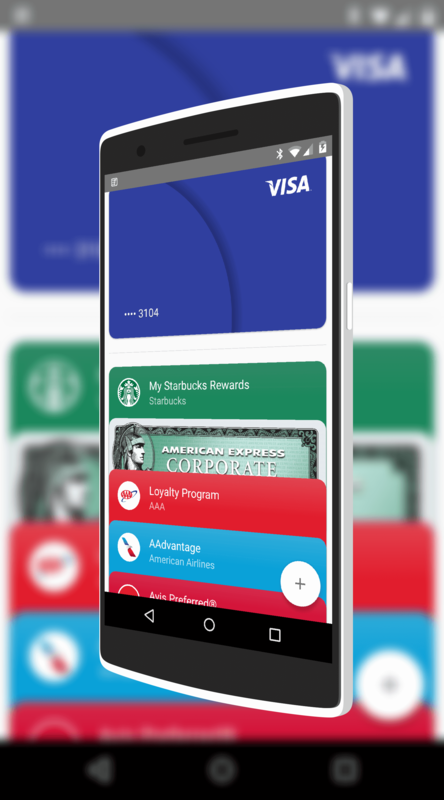 Keep in mind that in order to use Android Pay, your device must have NFC functionality built into it. Also keep in mind as you shop that any store that advertises that they accept ApplePay will also work on Android Pay. Both services use the same technology to work on the terminals so purchases can easily be made by both platforms by a simple touch of your device to the terminal. If you haven’t given it a try yet, it works really well. I use it regularly as I travel and it saves me from having to pull my wallet out of my pocket or bag to make a purchase.